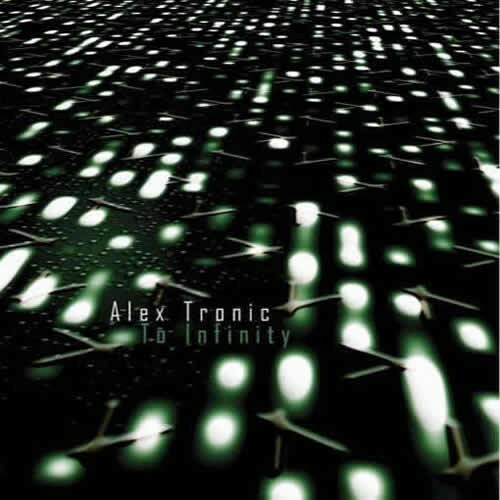 Alex Tronic Records celebrates the tenth cd album release by the critically acclaimed Scottish based label by debuting label founder Alex Tronic for his label.The ten track CD album entitled To Infinity. is the work of Alex Tronic otherwise known as music producer Paul Croan.The label was started as Paul is surrounded by Scottish bands that are making great music through his recording studio production work based in Edinburgh.Paul joins the roster of acclaimed artists which include Keser , ĂsA and Snakestyle who feature Ska legend Rankin Roger who had so many hit records with The Beat.Paul has previously released under the pseudonym Alex Tronic and on labels which include Koyote, Peyote and Cherry Red Records. He has also scored music for film and TV.To Infinity is a ten track album which includes several guest appearances from some of our label artists.Most of the album is dance music with guitar performances supplied mainly from Erik Tricity a pal of Alex Tronic who fronts Scots filth rockers Metal Tech. Paul says Erik brought some live energy to the cd with his uncompromising style. It gets kind of mad in places but we think it works well and is a bit different. To Infinity is to be released on cd in all good Record shops on 7--2-09 and will be available on iTunes the same day.